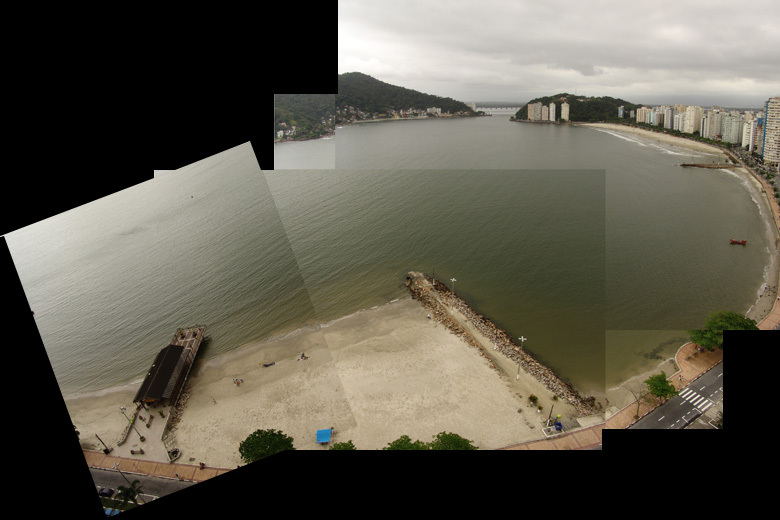 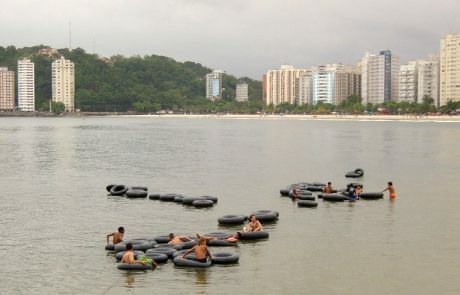 Place: São Vicente – Sao Paulo – BrasilPraia recanto das crianças, Sao Vicente, SP, Brazil. 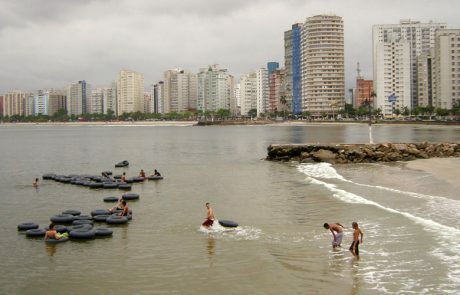 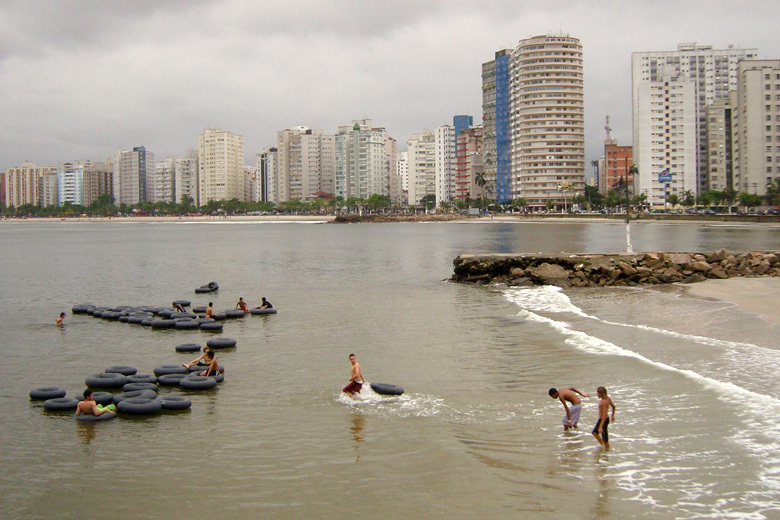 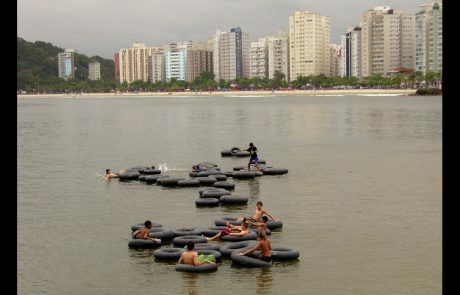 Recanto das criaças beach, São Vicente, São Paulo, Brazil. 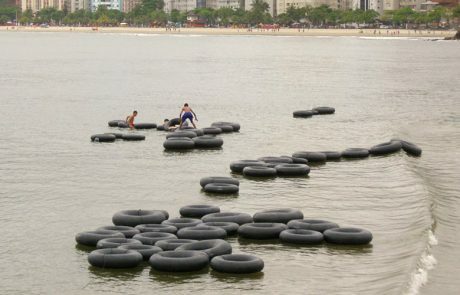 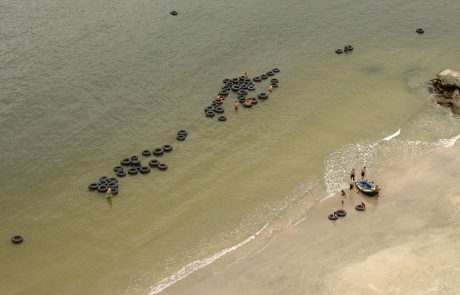 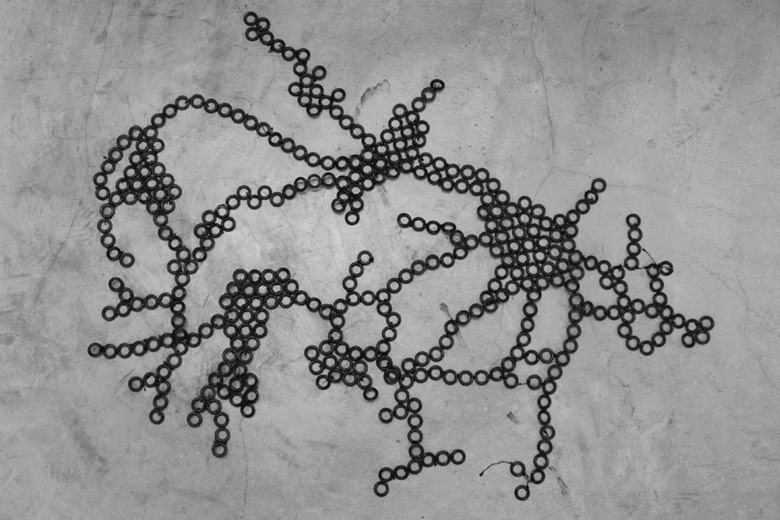 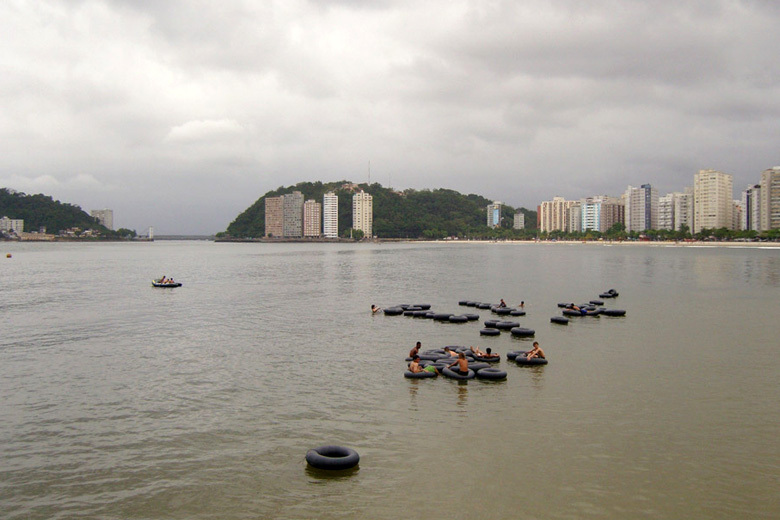 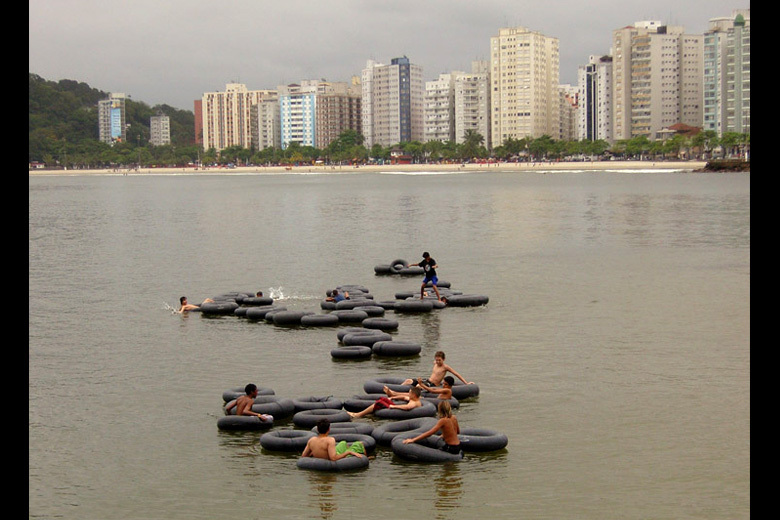 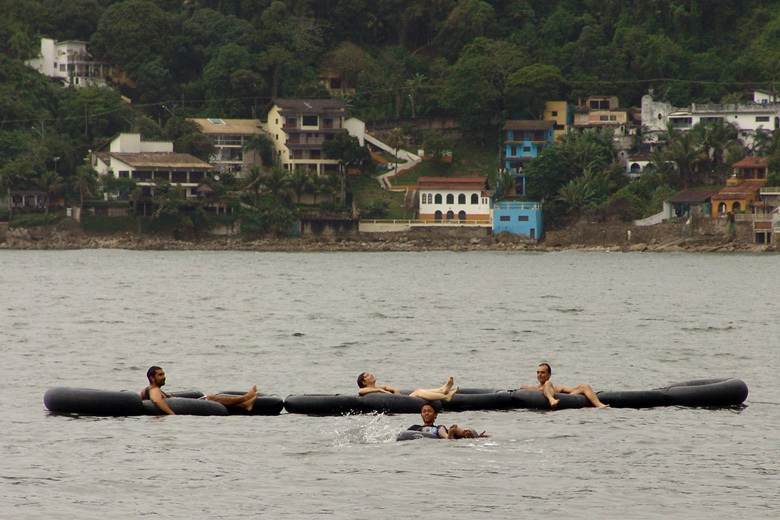 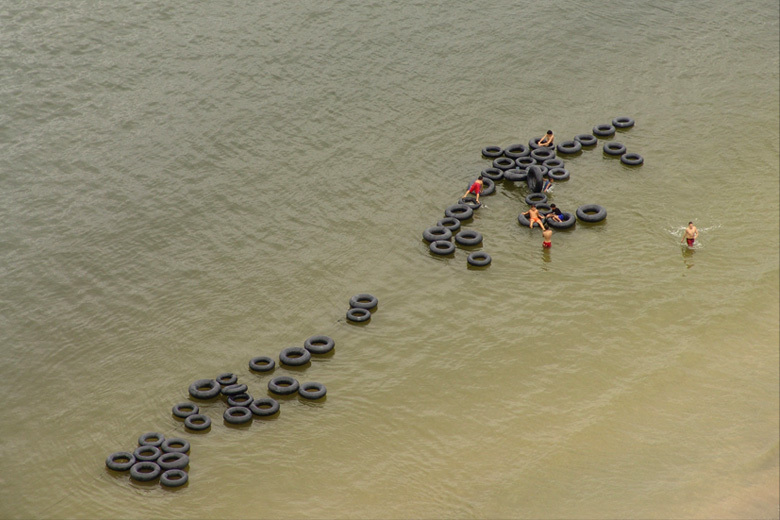 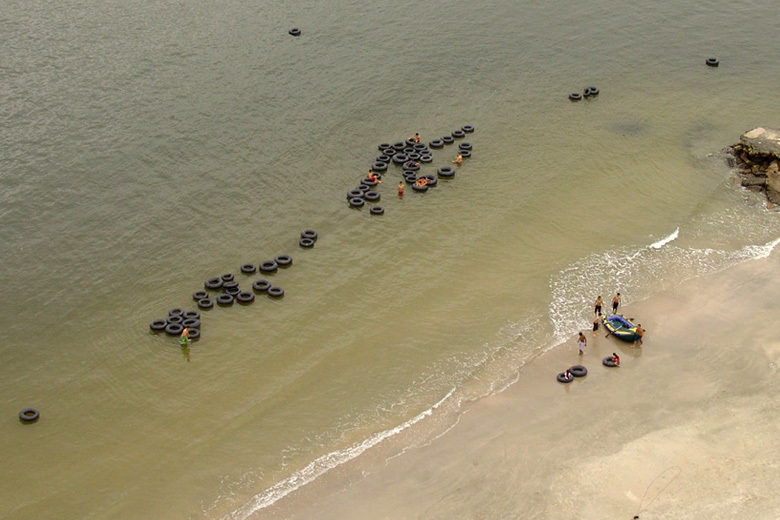 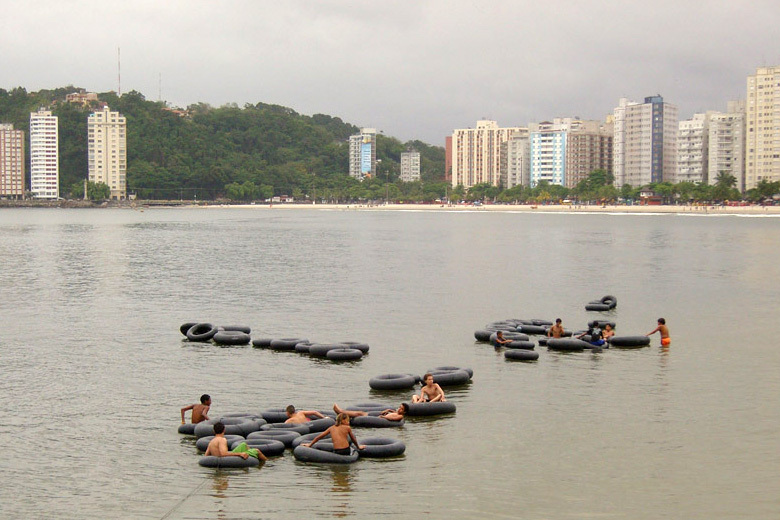 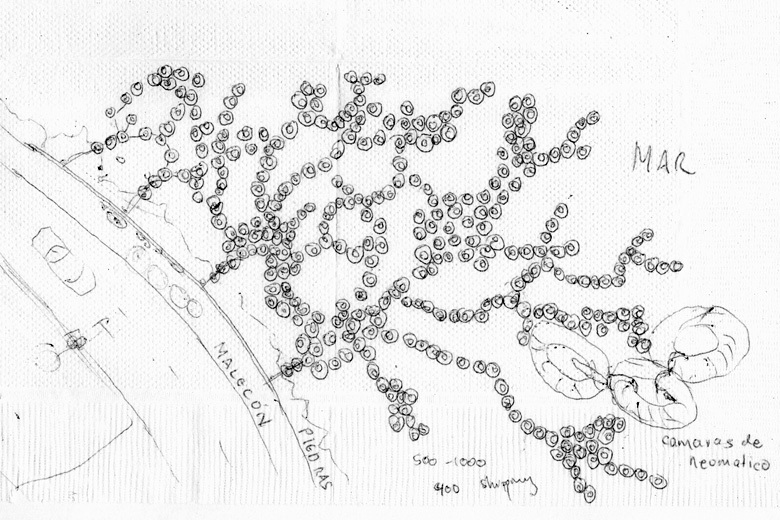 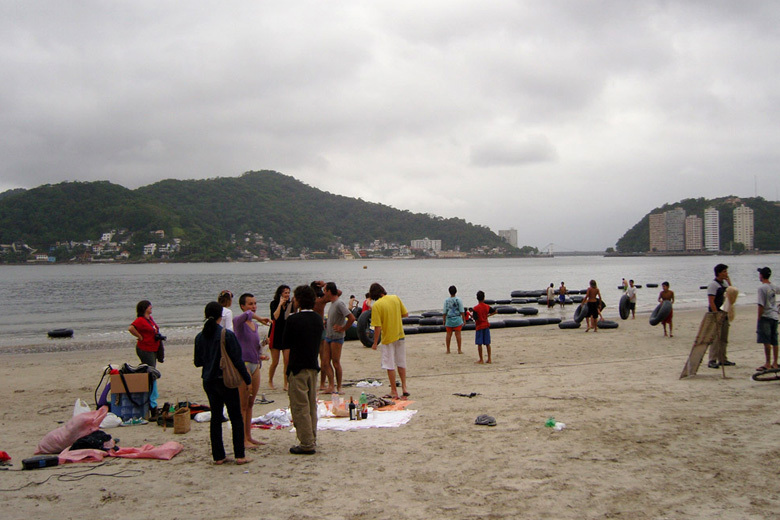 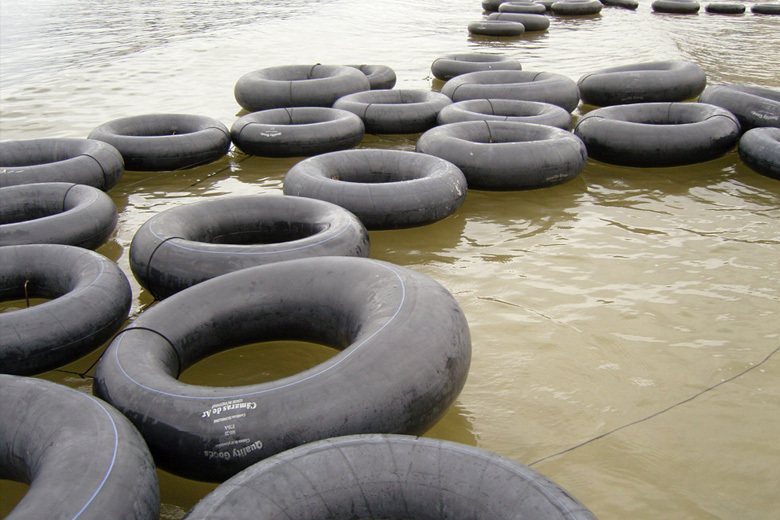 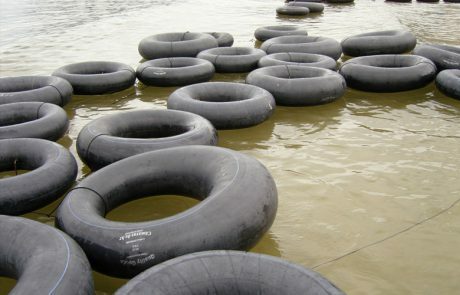 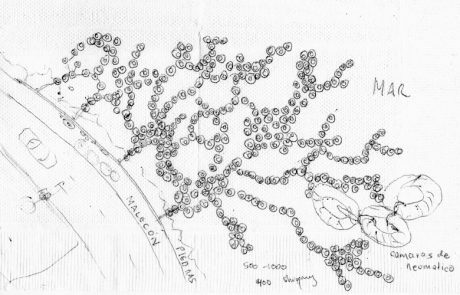 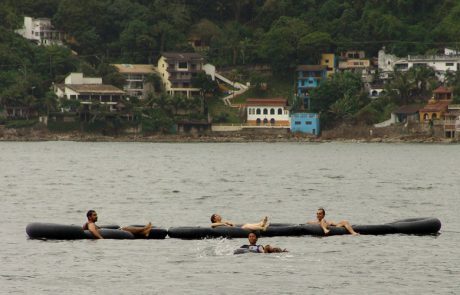 Detonate a game-party on the beach where people may use rubber rings taken from tires to float and enjoy together building a floating structure. 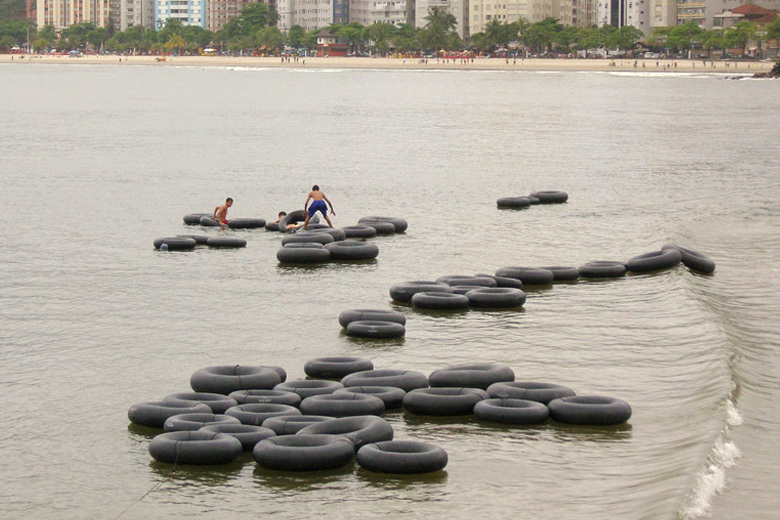 Its shape will be determined by the participants and it will be influenced by the stream and tides of the sea.